Tamaryn Green worked with the costume department to create her Miss Universe national costume inspired by the blue crane. 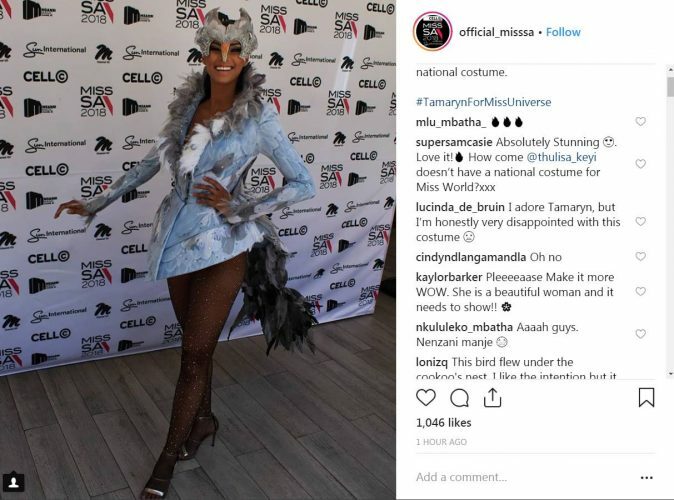 Tamaryn Green’s pride about her Miss SA national costume for the upcoming Miss Universe pageant was short lived after a wave of negative comments were posted under images of the costume across all social media platforms. 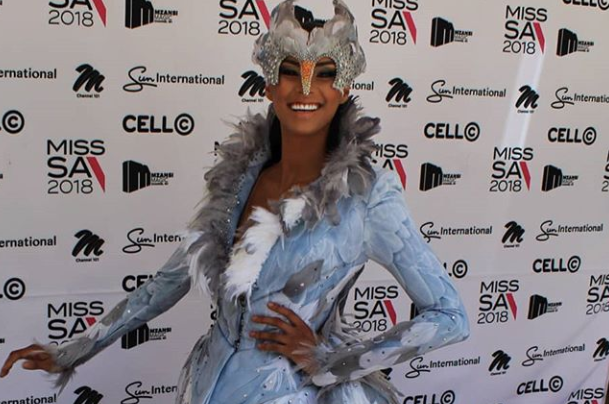 The feathered powder blue costume was inspired by the country’s national bird, the blue crane and Green worked with the costume department to create the look which was revealed earlier today at a press briefing in Sandton, north of Johannesburg. 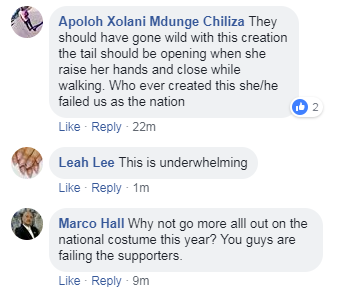 The designers who created Demi-Leigh Nel-Peters’ national costume are responsible for this look and considering the fact that Nel-Peters took the crown last year, many are hoping for a back-to-back win. 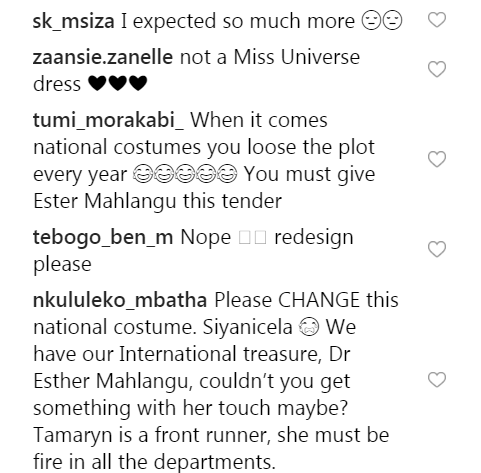 The Miss South Africa official account has since taken down the Instagram post that got the bulk of the negative comments. 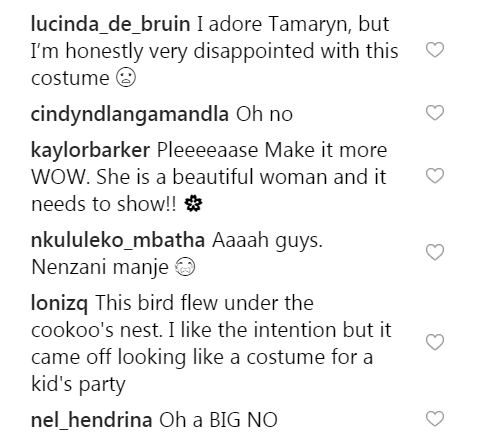 Twitter images of the costume weren’t safe from criticism either. As soon as photos of the outfit hit the web, locals immediately weighed in with most asking her to change the costume at the last minute. Please change this costume . 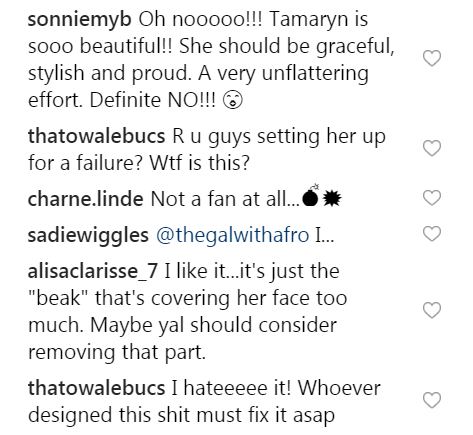 We love you Tam but this is a huge miss. With the utmost respect – perhaps you could revisit your outfit. Things weren’t looking any better over on Instagram or Facebook. 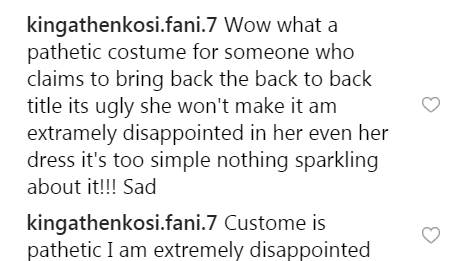 Followers were nicer about the hand-stitched evening gown she will be wearing on the night. The event will take place in Thailand and the three-hour event will be broadcast on December 16.